Dr. Paul Napper provides consultation and coaching to business leaders to help them sharpen and strengthen their leadership efforts. His professional background includes extensive experience in assessment and the application of psychological principles to improve the performance of individuals and organizations. His client list includes Fortune 500 companies, universities, start-ups and non-profits. Dr. Napper launched his career as a Wall Street analyst, first with J.P. Morgan Investment Management in New York and, following that, with Crowell, Weedon and Company in Los Angeles. During his tenure as a securities analyst, he was responsible for following several major industries, including banking, insurance, and media. 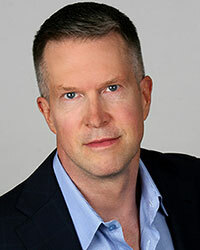 He subsequently launched the management psychology practice, Performance Psychology Consulting, with two partners in 1998, where he advises a broad array of organizations and industries. Dr. Napper earned his undergraduate degree at the University of Pennsylvania in International Relations and pursued his master’s degree in the same field at the University of Chicago. He received his doctorate from William James College, one of the nation's preeminent colleges of applied professional psychology. He completed an advanced fellowship in psychological testing and assessment during a three-year academic appointment at Harvard Medical School. He authored a book on psychological agency and the realization of human potential published by St. Martin's Press in 2019.